In the first of the semi-finals of Men’s Hockey World Cup 2018, third-ranked Belgium took on the World No.7 England in the Kalinga hockey stadium at Bhubaneswar. It was being built up as a tight affair between the two European powerhouses. 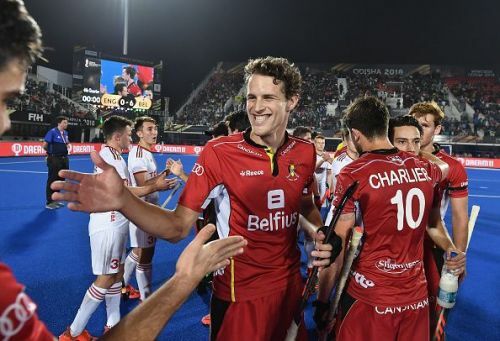 It was just the first semi-final appearance for Belgium in the World Cup but that hardly showed as the 2016 Olympic silver medalists romped home to an easy 6-0 victory. The English defence struggled to cope up with the efficient display from Belgium’s forward line led by the exceptional Tom Boon. Boon opened the scoring for Belgium in the eighth minute getting ahead of his marker and guiding the cross into England’s net. From there on in, it was all Belgium as they kept on piling pressure on the English backline. Alexander Hendrickx netted two goals with his powerful drag flicks as England keeper George Pinner had an off day. 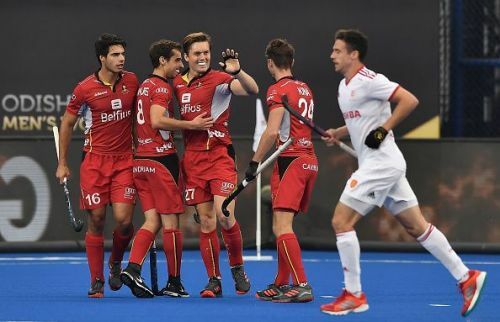 Sebastien Dockier then smashed home a powerful shot in the roof of the net to make it 6-0 for Belgium. Let us have a look at the 3 reasons why Belgium won 3-0. It was one of the most impressive displays by any forward line in the 2018 World Cup. The English backline of Liam Sanford, Zach Wallace, Mark Gleghorne had a torrid time on the field. The trio of Tom Boon, Cedric Charlier and Thomas Briels kept on penetrating the English defence with some sharp passes. Boon began the scoring for Belgium via an impressive deflection of a strong hit by captain Briels. The fluidity in Belgium’s forward line was there for everyone to see. The star of the show though was Cedric Charlier who had a great game. The 31-year-old kept on making incisive runs into England’s circle and was rewarded for his efforts with a goal in the 41st minute. Charlier showed some brilliant skills to beat his marker and let fly a strong half-volley shot which beat George Pinner. Sebastien Dockier then made up for his earlier missed chance by smashing the ball into Pinner’s net in the 54th min to complete the misery for England.